Nordic Ware is the original name in Bundt pans. 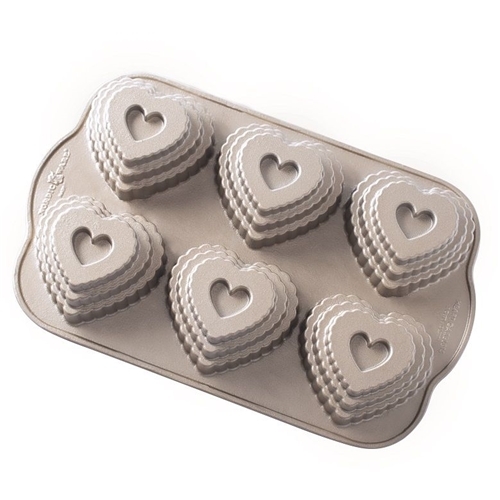 Bundt cakes are easy to make and decorate and these fabulous tiered hearts make an ordinary cake look extraordinary. Made of heavy cast aluminum with a nonstick finish. Make 6 beautiful hearts. 3 cup capacity. Made in USA by Nordic Ware.